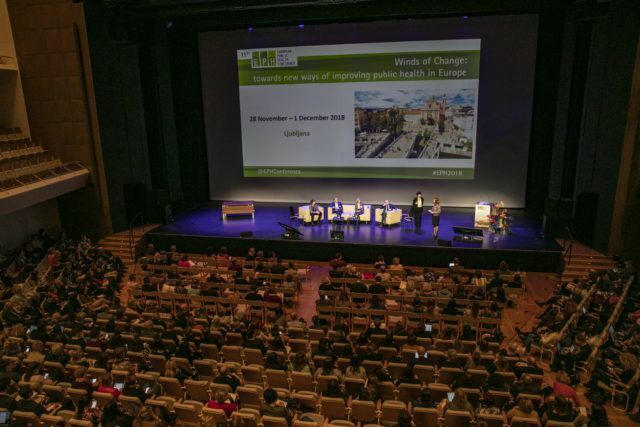 Cankarjev dom – Cultural and Congress Centre Ljubljana in late November 2018 hosted the 11th EPH – European Public Health Conference titled ‘Winds of change: towards new ways of improving public health in Europe’. The EPH gathered around 1650 delegates from 61 different countries and was, thus, considered to be one of the largest conferences in Slovenia 2018. At the same time, this was the first European Health conference that Slovenia hosted and was a huge success for Slovenia to host such a prominent international meeting that included nearly 1000 presented contributions at the plenary sessions and workshops from various fields of public health. The Slovenian counterpart of the organisation, the Slovenian National Institute of Public Health, emphasized how the CD despite the huge event it hosted, did its job flawlessly. Famous Ukranian-born God of ballet dance, Sergei Polunin, got Slovene and foreign visitors into a religious ecstasy with three performances that had been sold out for months. The enfant terrible of ballet scene, who at the age of 20 became the Royal Ballet’s youngest ever principal dancer, brought to CD’s Gallus Hall his world-famous ballet moves with solo performance Sacré. CD was for two days not just a host to Polunin’s worshippers, but also to one of Slovenia’s main artistic events of the year if not of the decade. With hosting events of such high value and recognition, the CD furtherly re-affirms its position as one of the main cultural and congress centres in Europe not just by size but also by its impact. Cankarjev dom – Cultural and Congress Centre Ljubljana got a new look. Its 40 years old roof, that has been as the rest of the building protected as a cultural and historical monument, was renovated. The almost 2 million euros worth renovation lasted for 60 days and more than 40 workers took care of the 2700 sq m of copper roofs, the 120 sq m of balconies, and 1200 sq m of concrete surfaces. At the same time, Cankarjev dom’s immediate neighbourhood had also been under renovation. So, after the renovation of the Erjavčeva and Prešernova streets, the Cankarjev dom’s surroundings will soon have a new and shiny face, ready to even more glamorously welcome diverse cultural and congress events. Previous articleTwo awards for GUARANT International clients: Best congress and the best corporate event of 2018!